I have never done this before and I feel like I am a prostitute now. At least I’m not regifting! 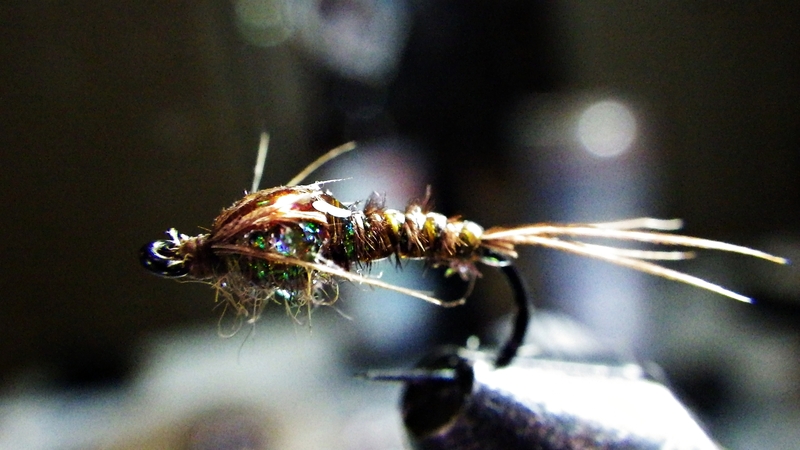 However, I know there are a handful of people out there (3 or so…) that enjoy bugs that I tie. 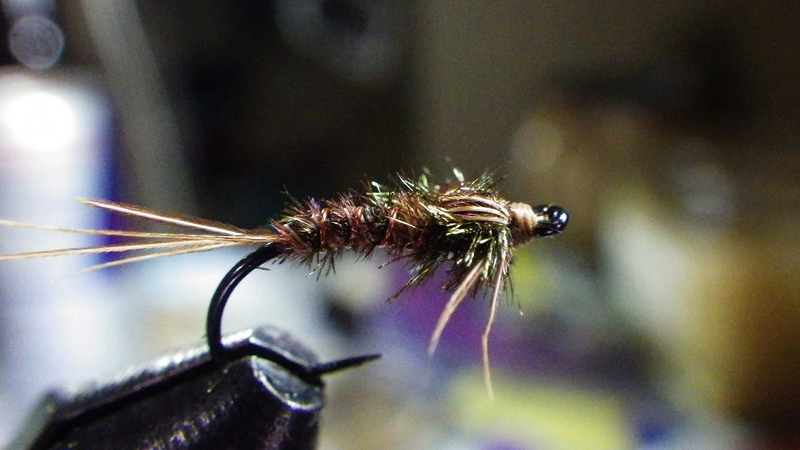 Due to some goings on, I have been looking into some very classic patterns to revisit. Because they are not my design, I feel that it is alright to put the ol’ Dave twist on them and give them away. The only problem… I have no idea if they work or which one is the best. I am thinking to do a monthly thing where people vote on their favorite classic revisit, name it, give half a dozen away, then posting a tutorial on the winning bug. So, here goes the test run of this. I was sifting through the annuls of history and speaking with a few people riverside about bugs. It seems that people really enjoy the pheasant tail (PT), most using it as their “Go To” bug. I have never been huge into the world of the PT, they are usually a bit bulky for my taste. Frank Sawyer never meant for the PT to be a plump insect. He did mean for it to have gills and a paddle tail though. I really enjoyed digging around the bug and if you are a fan of history, this fly has traded hands over the ages to become what we use today. I would have tied this traditionally, but it seems that the tradition of the PT is to modify it. This leads us into the give away type thing that I am doing here. The rules are very simple. Comment below, tell me which fly you choose as your favorite and name it. The most popular bug wins and the person with the best name for that bug wins a half-dozen. I’ll even ship it internationally. Here goes! 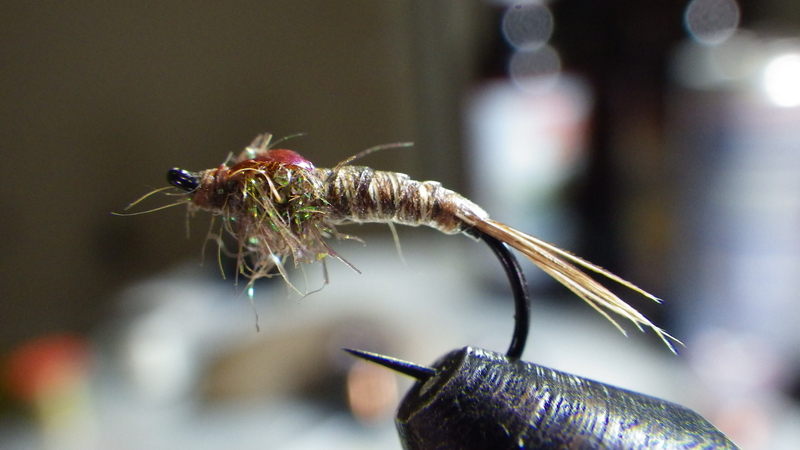 The winner will receive six flies Of the winning pattern tied on size 14 Tiemco 206BL (not cutting corners here). Tied by: David Goodrich… With love? *Contestant “A” spun my camera out of control, so I touched it up by adding contrast and dropping the saturation. The others are untouched.